An outdoor area gives a trademark look to this space - all offices have access to greenery and the outdoors in the East of Hanoi. High-speed internet, complimentary beverages, printers, scanners and stationary all make up just a few of the benefits this space offers - you can work independently in a comfortable and tranquil environment. Shops, cafes and restaurants line the streets in the local area, and your daily commute is a breeze thanks to brilliant local service by both train and bus. Ocean Park Building offers great access to surrounding restaurants, cafes, bars, banks and shops as well as hospitals and Thong Nhat Park. A prime, luxurious office, easily accessible by many bus routes and trains, with access to Noi Bai International Airport in under an hours drive. Internal and external offices are on offer, with city views. Guests will be greeted by professional and friendly reception staff who are provided on site and have fantastic communication skills with the capacity to speak bilingually. Security and cleaning are provided at no additional cost, and the wide-range wifi and WAN fibre internet systems will help you work productively. Catering from four-to-fourteen people, the luxurious meeting rooms allow you to productively conduct business with your team or guests. Full furnished serviced office space, providing complete solutions for your business and available for immediate occupancy. 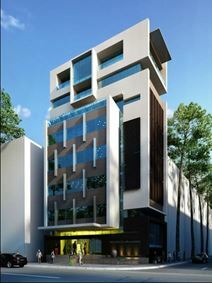 This centre is located over two floors of a prestigious building in the heart of Hanoi and has access to a number of amenities, and is within close proximity to Thu Le Park which is home to an urban zoo and walking paths. The work solutions are offered on short and long term flexible leases and come with a range of facilities to benefit your business. Energetic vibrate office space opening in May- This busy area of Hanoi is home to a lively co-working center that inspires play alongside strong work ethic and professionalism. A center offering completely furnished and serviced office solutions, you can choose between private office suites or be part of the larger co-working area all under an all-inclusive rental fee. Regular networking events are organised for members who can also profit from a common reception desk, connectivity to bus services, and access to a range of amenities. A plug-and-play office space with many large windows offering plenty of natural light and views of the surrounding green areas. There are reception services which includes postal handling. The onsite management team is there to assist with any business requirements. Air conditioning keeps the space at a pleasant temperature. Situated on Đinh Lễ. The nearest bus stop is just a three minute walk away. It is a two minute stroll to Hoan Kiem Lake. In the surrounding area, there are a multitude of shops, bars, restaurants, street food stalls and much more. There are also many hotels close-by. It is a 43 minute car journey to Noi Bai International Airport. Opening April- This busy area of Hanoi is home to a buzzing co-working centre that encourages play alongside strong work ethic and professionalism. A center offering completely furnished and serviced office solutions, you can choose between private office suites or be part of the larger co-working area all under an all-inclusive rental fee. Regular networking events are organised for members who can also benefit from a common reception desk, connectivity to bus services, and access to a range of amenities. Close to many hotels, perfect for your out-of-town clients and the embassies of Norway and Belgium, this office space is conveniently located on a prominent corner of Hai Ba Trung street. Great on-site amenities include meeting rooms, kitchen areas and a business lounge. This busy residential area of Hanoi is home to a buzzing co-working centre that encourages play alongside strong work ethic and professionalism. A centre offering fully furnished and serviced office solutions, you can choose between private office suites or be part of the larger co-working area all under an all inclusive rental fee. Regular networking events are organised for members who can also benefit from a common reception desk, connectivity to bus services, and access to a range of amenities. This luxurious office space has been furnished and equipped with the latest modern technology, and has helpful onsite staff to ensure you and your visitors receive five-star service at all times. Situated in Hanoi's Nhan Chinh Ward, this centre is located in a key business area of Vietnam which is constantly expanding. Enjoy convenient access to sports venues in the area as well as hotels, eateries and public transport connections. Within one of the first and biggest ever multi-use complexes in Hanoi this wide range of co-working solutions and executive private office space is fully equipped and furnished while tenants have access to meeting rooms and a business lounge. Within 10 minutes of the National Convention Centre. 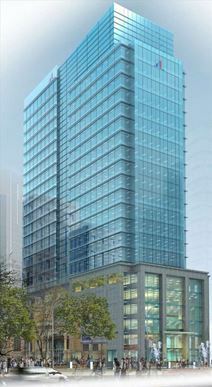 Sky City Tower offers great access to surrounding restaurants, cafes, bars, banks and shops as well as a pharmacy and hotels. A prime, luxurious office, easily accessible by many bus routes and trains, with access to Noi Bai International Airport in approximately 40 minutes. Naturally lit, internal and external offices are on offer. Guests will be greeted by professional and friendly reception staff who are provided on site and have fantastic communication skills with the capacity to speak bilingually. Security and cleaning are provided at no additional cost, and the wide-range wifi and WAN fibre internet systems will help you work productively. Catering from four-to-fourteen people, the luxurious meeting rooms allow you to productively conduct business with your team or guests. This transformed French villa has the office space perfect for your business whether you're just starting up, looking for a new freelancing venue, or are a small established team. In the heart of Hanoi, this centre is well connected to amenities that you may need on a daily basis and is only a short walk from Hoan Kiem lake if you need to stretch your legs throughout the day. Private office spaces and co-working solutions are offered on flexible terms and suited for all. Situated on the 29th floor of the second tallest building in Hanoi, this world-class business centre provides a range of serviced office suites that attract top corporations and entrepreneurs. 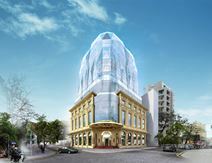 The building is connected to a shopping mall so has great access to amenities such as restaurants, retail venues as well as a spa. This office space boasts city skyline views to accompany it's private office, hot desk and dedicated desk co-working options and virtual office solutions that meet your business requirements. 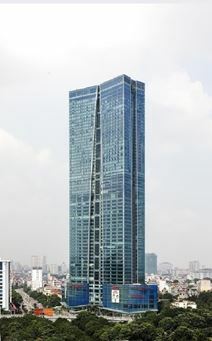 This centre is nearby other notable office buildings that include BIDV Tower and Opera Business Centre. It is strategically located in Ly Thai To Street, providing convenient access to nearby amenities - foreign banks, hotels and shopping malls as well as other commercial properties. An excellent opportunity to run a business in the famous Press Club, a Grade A building in the central business district of Hanoi. The centre enjoys an elegant architecture and maintains formality of office space at the same time. Fabulous location with major office buildings, banks, government offices, embassies and five-star hotels in a few minutes’ walk away. 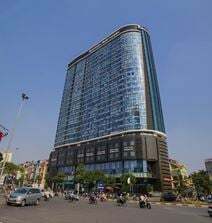 Located in Hai Ba Trung district, the centre of Hanoi, with great connectivity to numerous transport links. This co-working space has furnished office solutions suitable for five to thirteen people. A dynamic, civilized and constantly expanding community that is working to bridge the gap between start-ups and investors. Suitable for freelancers, startup companies, SMEs and big companies looking for offices in Hanoi with a variety of restaurants, cafes and eateries in the surrounding area perfect to try for lunch or during client meetings. This centre is situated on the 3rd and 5th floor of this impressive and prestigious building. Offering a wide range of serviced office solutions, this centre is perfect for your business. Located in the city center of Hanoi, this landmark building provides serviced office solutions suitable for up to four people, virtual office options and meeting room rentals all within easy access to both the airport and nearby industrial zones. A business centre that offers great amenities and a neat and tidy office space all for a reasonable price. Well connected to multi-national companies, food and beverage venues, retail shops and much more so you can connect with other business and utilise all that the area has to offer. An innovative co-working and serviced office community providing a space to serve individuals who are eager to establish their company, but lack resources. Supplying a variety of professional skills like admin support, mail and phone call handling, company set up to name a few, and the staff and on-site to assist with any business challenges. Situated in the heart of Hanoi, this office has great access to public transport providing convenient access to Noi Bai Airport, Highway Ha Noi- Hai Phong, Trung Hoa - Nhan Chinh urban area, The National Convention Center, The National Exhibition Center, The Manor Hanoi urban area as well as My Dinh urban area. These serviced offices are fully furnished and located on a popular central street that is home to government offices and a vast majority of financial institutions in Vietnam. This Grade A building which houses this centre is located just 15 minutes from the airport which makes it a great location for international businesses, and is also accessible via public transportation with ease. Offering private offices and workstations with a variety of professional services, this centre is a great place to facilitate business success. This inspirational work space, located at the edge of the old French Quarter, is housed within a striking Art Deco-style building. With 10 floors of designer offices and meeting rooms to inspire creativity, a network of fellow Hanoi professionals to collaborate with, high-speed WiFi that works just as fast as you do, with supportive, friendly staff to help you along your way. Sharing a neighbourhood with a variety of restaurants, cafes and eateries for you to try on your lunch break or with clients, this space is also close to hotels, banks and ATMs, as well as retail venues to suit your or your out of town client's needs. This great location is conveniently just steps from Hanoi Train Station and provides a range of serviced offices suitable for growing businesses of one to four people on the 3rd floor of the building. This is a prestigious address offers premium private office solutions in a conveniently accessible location. Providing meeting rooms, full reception services and conference rooms to emerging businesses and mobile professionals, this centre also provides complimentary beverages, printing services, 24-hour access and IT infrastructure for you to conduct business. In the area you have a plethora of lunch venues to choose from as well as great connectivity to public transport options. Situated in Westlake's luxurious apartment scene, this serviced office and apartment complex is and excellent solution for those looking to utilise a harmonious space that caters for those wanting to work and live locally. Fully serviced, private offices and co-working solutions are available for your business and are ideal for individuals and teams. Near to a range of facilities from fitness clubs, restaurants, supermarkets and a gold club, this centre has great access to all that you may need.